If you expect your vehicle to perform at its best, then get your vehicle serviced regularly. At Starling Chevrolet of Deland, we offer quality services to our customers in DeLand, FL. If you face any kind of issue with your car, come to our dealership. DeLand drivers, the Chevrolet service provided by our well-trained and certified technicians will take care of the problems related to your vehicle. Whether it’s an oil change, battery replacement, routine checkup or anything else, we’ve got you covered. Bring your vehicle to our trusted dealership for Chevrolet service in DeLand, FL to get it serviced by the experts! With your Multi-Point Vehicle Inspection, you get a thorough assessment of your vehicle by the Certified Service experts. So protect yourself and your automotive investment with a comprehensive vehicle inspection at your Starling Chevrolet of Deland in DeLand, FL today. Your Chevrolet’s tires are the first and only contact with the road, so it is important to choose the right set when replacing them. 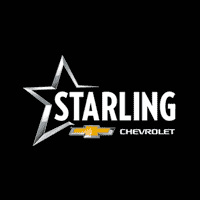 Starling Chevrolet of Deland has Certified Service experts that will handle all of your tire needs. From checking tire wear to tire pressure our team can help you find new tires for your Chevrolet. Stopping power is crucial to a safe and successful driving experience. When you need brake service, visit Starling Chevrolet of Deland and the GM Certified Service experts can recommend quality new brakes.